The 2012 roster is shaping up. Oh, Ruben still needs a shortstop, no small detail, and possibly a left-handed bat in the outfield. Beef up the bench was one of his goals. Well, he’s added 480 pounds to the bench in LH power bat Jim Thome (250 pounds) and RH power bat Ty Wigginton (230 pounds). More importantly, that’s 762 career home runs. Let’s hope the bench is made out of oak wood. Wigginton’s ability to play first, third, second and the outfield adds versatility. He’s been on the Phillies radar for a few years and now he’s finally in their uniform. Things you didn’t know about Tyler: He grew up in San Diego and was a season ticket holder with the Padres . . . He was the 17th round selection of the Mets in 1998 . . . His sister was a member of Stanford’s synchronized swimming team, which was the national runner-up in 2000. Four prospects were added to the 40-man roster last week, removing them from being eligible for the Dec. 8 Rule 5 draft at the Winter Meetings: right-handed reliever Phillippe Amount (a 6-foot-7, 255-pounder), lefty reliever Jacob Diekman, catcher Sebastian Valle and speedy outfielder Tyson Gillies. Aumont and Diekman join fellow young relievers Justin DeFratus (RH), Michael Schwimer (RH), and Joe Savery (LH). Don’t remember that many relief prospects on one roster before. All will be trying to impress big league eyes in Clearwater, same path Michael Stutes took this past spring training. Speaking of the 40-man roster, the Phillies are now at 40 with the signing of Wigginton. All the team’s scouts and minor league managers, coaches and instructors are paging through the players eligible for the Rule 5 draft. The last two years of that draft have brought David Herndon and Michael Martinez into the organization. Before that, Shane came through the draft and way, way before that, Dave Hollins. If they come up with a candidate or two, a roster spot will be needed. Stay tuned. Guess this classifies as old news since the announcement came earlier this week. It is also old as in the same old story. Once again, Charlie did not win manager of the year. Puzzling. And, it isn’t the first time. He’s never won the award for crying out loud. All he’s done is reach the postseason five straight years. He’s one of only two NL managers to do that. The other was Bobby Cox, who was there 14 years in a row. He was a three-time winner. Perhaps I shouldn’t belly-ache. After all, Charlie finished fourth, which is an improvement over 2010 (fifth) and 2009 (sixth). Maybe the baseball writers who vote are slow thinkers. Yes, he was second in 2007 and 2008. But second isn’t winning. Then again, Charlie has a lot of company when it comes to Phillies managers and the writers’ award. Only one has ever won, Larry Bowa in 2001). The Associated Press used to give out the same award and the Phillies have fared better there than with writers: Eddie Sawyer (1950), Gene Mauch (1962, 1964), Danny Ozark (1976) and Jim Fregosi (1993). OK, the writers’ award didn’t start until 1983. But, in 1993, Fregosi’s Phillies went to the World Series. Dusty Baker’s Giants finished second and he won the award. Guess that classifies as old news. Once upon a time, the Phillies made Mike Schmidt the highest paid player. Years later, they did the same with the signing (first time) of Jim Thome. Now, they’ve paid the steepest price for a closer. A lot was written and posted today about Papelbon after his press conference yesterday. Bottom line: Phillies have a proven closer to go along with a proven starting pitching rotation. That’s pretty good, folks. Sorry to see Madson depart. He leaves having pitched more games out of the bullpen than anyone in Phillies history. When the gates to Citizens Bank Park first opened in 2004, three of the current players were on the field for the April inaugural–Madson, Chase and J-Roll. If J-Roll leaves via free agency, then we’re down to Chase as the senior member of the club. Nick Strincevich, a 96-year-old right-handed pitcher, recently died. He was the oldest living Phillies Alumnus. Nick pitched for the Phillies in 1948. When he was released in June of ‘48, a rookie stepped in and took over his uniform and locker…Robin Roberts. So, Nick is part of a trivia question: Who was the last Phillies player to wear #36 before Robbie? The oldest living former Phillie now is 95-year-old Freddy Schmidt, another right-hander. He pitched for the Phillies in 1947. The Wind Gap, PA, resident has attended the Alumni Night the last two seasons. In August, we lost OF Alex Pitko (97) and last month, OF Danny Litwhiler (95). Thanks to Jay Meyers for posting a correction in the blog about Thome. I wrote that Hank Aaron hit his 400th home run in 1966 at Veterans Stadium. It was pretty difficult to hit a homer at the Vet in 1966 because it didn’t even exist. The correct ballpark was Connie Mack Stadium, as Jay pointed out. Phillies Insider climbed notch for 15 to 14 in the October rankings of “MLB Pro” blogs. Credit goes to you. Thanks. Keith Olbermann’s “Baseball Nerd” blog ranks # 1 in the same category. Don’t believe Phillies Insider will ever catch Keith. Say hello baseball’s off-season. Time for this report, then a different report, then yet another different one. It is part of the process and unique to baseball. You just don’t hear the same kind of rumors in other pro sports. Years ago when Wheels and I were the PR team, he used to kid, “Baron, we should be the department of confirmation and denials.” Seldom, it seemed, are announcements surprises. Oh, it happened recently with Thome. When more than one person knows a deal has been made or a free agent has been signed, it is tough to keep it quiet. Tonight, Curt Simmons is among the 2011 inductees into the Philadelphia Pro Sports Hall of Fame. On Saturday, Shane Victorino receives the Branch Rickey Award for contributions in the community by the Denver (CO) Rotary Club. Speaking of the community, Cole, through the Hamels Foundation, is having a pitching clinic on Saturday and Sunday at the Maple Zone Sports & Fitness in Boothwyn, PA.
Monday, the Jimmy Rollins Foundation is having a charity event at the National Constitution Center. Sure there will be media coverage as they will pester J-Roll on his free agency status. **Monday, the AL and NL Rookie of the Year. Following week will be the MVP announcements. Citizens Bank Park will turn into Goosebump City the first time Jim Thome is introduced on opening day next April. Book it. He received the same treatment when he made his Phillies debut at Veterans Stadium in 2003. 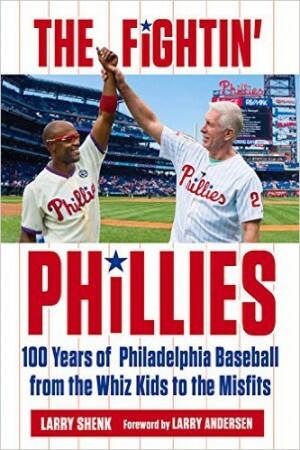 The signing of Jim as a free agent after the 2002 season brought baseball back to life in Philadelphia. The press conference then was held in what we called the Preview Center across the street where Citizens Bank Park was being constructed. The Preview Center featured a model of the Phillies new home, a sample of the suites and offices for the sales staff. Leaving the Preview Center, Jim saw some construction workers. He stopped the car, got out and chatted with the workers. A classic moment. There’s a lot to remember about Jim. First of all, he’s a genuine person, one of the most pleasant I’ve ever met. Dale Murphy is in the same class. When planning the closing of the Vet, I came up with the idea of having Schmidt take one last home run trot around the bases with Harry Kalas making his classic home run call. After Schmidt crossed home plate, Jim met him. Mike raised Jim’s left hand in the air, sort of saying the torch is being passed. Another classic moment. He led the league with 47 homers in that last Vet season. He followed up with 42 in the inaugural season for Citizens Bank Park. Injuries limited him to 59 games in 2005, hitting seven homers. So, two-plus seasons produced 96 homers. He was traded and replaced by Ryan Howard, who continued the big power numbers. Yet another Thome classic moment came on June 14, 2004, when he hit his 400th home run at Citizens Bank Park. We placed a bronze plaque where the historic home run landed. He became the third player to hit his 400th home run in Philadelphia, joining the Yankees Babe Ruth at Shibe Park in 1927 and the Braves Hank Aaron at the Vet in 1966. Since that historic homer, Jim’s added 204 more and passed 17 greats on the all-time home run list. He’s now eighth on the all-time home run list. He as a chance to move into seventh, currently held by Sammy Sosa (609). A-Rod is sixth, 629. Looking for a left-handed power bat off the bench, Ruben didn’t mess around and quickly brought Jim back. Jim and his family cherished their moments in Philadelphia. That plus his yearning for a World Series ring brought him back. Polly is the latest Phillies player to win a Rawlings Gold Glove. He’s the third Phillies third baseman to be honored, joining Mike Schmidt, who did it 10 times and Scott Rolen, three times. A former BlueClaws pitcher, lefty reliever Jacob Diekman, will play in the Arizona Fall League’s Rising Stars Game. The Rising Stars game, for the best prospects in the Arizona Fall League, takes place on Saturday night and can be viewed on MLB Network at 7 p.m. Eastern (5 p.m. local). Diekman has been sensational in the AFL, having thrown 7.1 scoreless and hitless innings. Opposing hitters are 0-22 against him. This follows a season spent with Double-A Reading in which he struck out 83 hitters in 65 innings and held lefties to a .099 batting average (9-91). Members of the scouting department, Marti Wolever, Bill Moore, Mike Ledna, Darrell Conner, Brian Kohlscheen, Gene Schall and Rob Holiday, are meeting in Phoenix this week for staff reviews and watching the Arizona Fall League. Former Phillie, Andy Tracy, has rejoined the organization as a minor league manager . . . Two Phillies Alumni are now part of the White Sox big league coaching staff, Mark Parent (bench coach) and Jeff Manto (hitting coach) . . . Dave Hollins, special assignment scout, has been promoted to Major League scout, replacing Jim Fregosi Jr., who left that position to become an assistant to the Royals GM. Friday, Coca-Cola is having a Phantasy Game on the field and 3M is having a meeting in the Media Room . 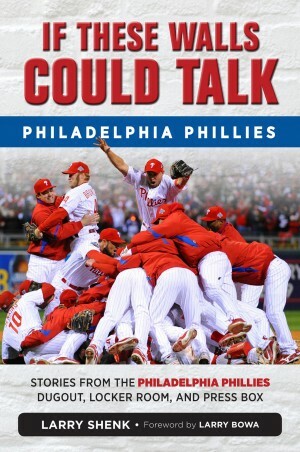 . . Saturday, Phillies are hosting a walk for ALS . . . Sunday, Phantasy Campers will take batting practice . . . Monday, Ball Girl Tryouts begin and there is an Eagles Tailgate Party that night in the Hall of Fame Club . . . Tuesday, a two-day dental trade show on several levels . . . Tours of the ballpark topped 27,000 this year. Five years ago, the total was 11,000. From the regular season to the postseason to the off-season, which, to many baseball fans, is an eternity until the next ballgame. What an interesting October baseball experienced. Pre-season prognosticators had the Red Sox meeting the Phillies in the World Series. But when the postseason began, the Red Sox were home watching on TV. Before the month was over, Boston wound up losing a manager and general manager. As everyone knows, the Cardinals got into the postseason on the very last day of the regular season. They quickly sent the Phillies to the same couch with the Red Sox watching on TV. The Cardinals got hot at the right time in September and stayed that way all the way to the World Championship. Then, their manager retired. Never before has that happened in baseball. Legends are made in October was baseball’s promotional theme. Say hello to David Freese, the Cardinals little-known third baseman who wound up on the Tonight Show as the WS MVP. Freese had 16 doubles and 10 home runs in 393 at-bats during the season. In 63 postseason at-bats, 8 doubles and 5 home runs. His 21 RBI set a postseason record. Five of those RBI came against the Phillies. In the regular season, he was 2-for-11 against the Phillies. Guess he qualifies as a legend. The Rangers made it to the World Series for the season straight year and became the first AL team to lose back-to-back series since the 1963-64 Yankees. Twice in Game 6, the Rangers were one strike away from their first ever World Championship. Painful. Phillies fans thought they were pained by losing to the Cardinals this year and the Giants last year. Both wound up as champs. Experts poo-pooed the Rangers/Cardinals series as uninteresting. In the end, it was the highest rated World Series on TV since 2004. The off-season can also be referred to as hunting season. Free agency officially begins after midnight on Thursday. Teams will be hunting for players, using giant checks as their bait. Eternity? Opening day is 153 days away.